I love butterflies! We released live butterflies at our wedding and it has since been our family logo. I love how these natural beauties flutter into my garden and add color and life, beauty and grace. So when Stampin' Up! released the new Butterflies Thinlits Dies in the Upcoming Occasions Catalog (out January 6th) I was over the moon! (Enjoy this Sneak Peak - eeek!) These stunning, delicate die-cuts can add a WOW element to almost any project. So when my niece turned 18, I knew she needed a card as lovely as her that will highlight the new stage in life, as she leaves the cocoon. See how easy this hand-crafted card comes together to WOW. *Bundle and SAVE 15% these two! 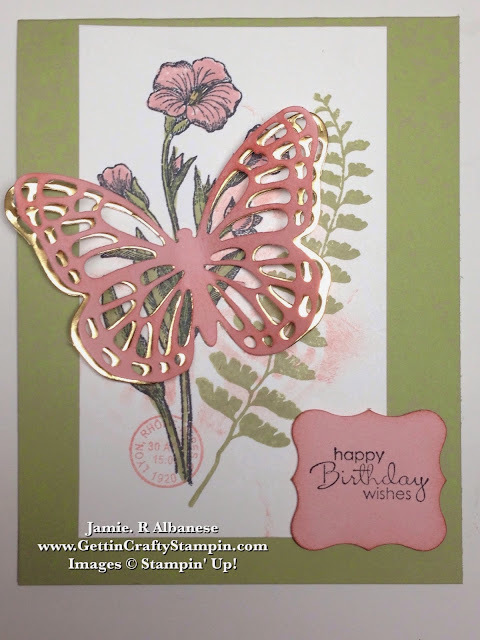 Using the Butterfly Basics stamp set and stamp this lovely flower using the Memento ink pad (because I am using the Photopolymer version of this stamp set and it is the best black to use with Photopolymer). Stamp the fern with the Pear Pizzazz ink pad and color the flower in using the Blushing Bride, So Saffron and Pear Pizzazz Stampin' Write Markers (from the Subtles collection). Stamp this vintage postage image with the Blushing Bride ink pad. 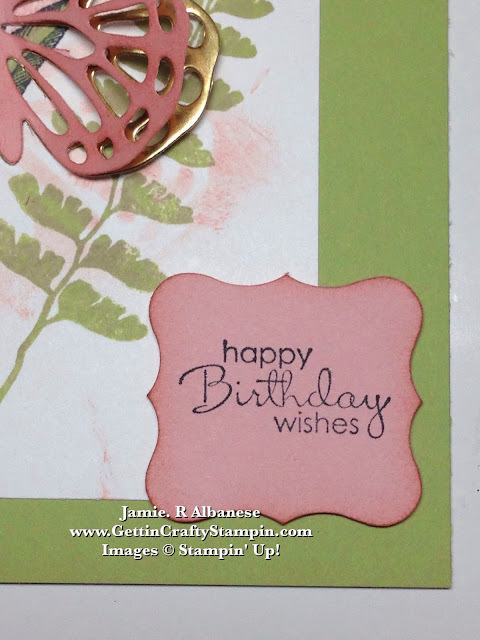 A hand-stamped card is such a great way to show that you care! 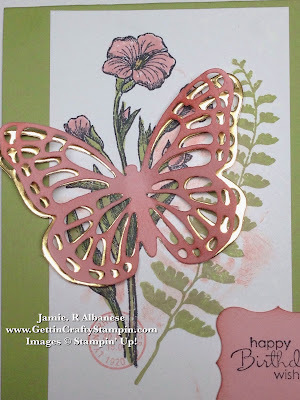 Add dimension and additional beauty, as well as a vintage element when you use the Sponge Dauber in Blushing Bride ink on the Blushing Bride die-cut butterfly. I actually added another layer of vintage and shadow by daubing the butterfly on the Very Vanilla card stock. Adhere the two butterflies together, in the middle, using Glue Dots. 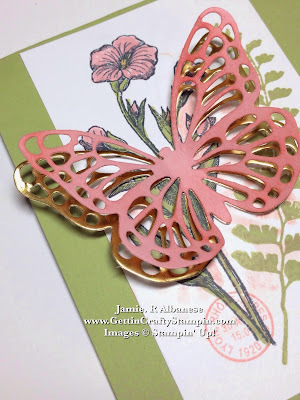 Bend the wings back for a pretty 3D look that will still mail! 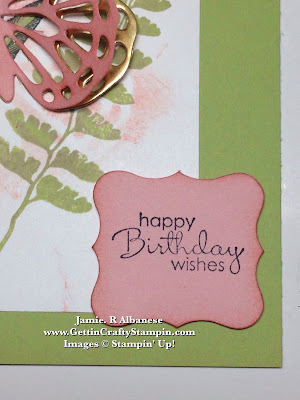 Add a sweet stamped sentiment using the Petite Pairs stamp set. Punch the sentiment out with the Curly Label punch and using the Sponge Dauber to soften the edges to this hand-stamped greeting. What do you think?? Please Share Me and This with a Pin, Email,Facebook post, Tweet.. and Join Me with a follow on these avenueslike Pinterest and YouTube, Instagram, LinkedIn and Foursquare! 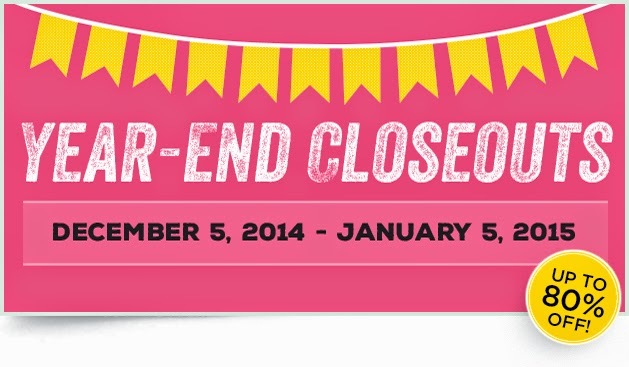 Get even MORE Gettin' Crafty Stampin' with our Exclusive Mailing List and it's many rewards!! I love that God gave us such great beauty like flowers and butterflies. Bring a little of that beauty indoors or deliver it through the mail with a pretty hand-stamped card. It doesn't take much but great stamps and tools (like these stunning die-cuts) to WOW others. Show that you care when you deliver a hand-crafted card with that person in-mind (and as a mom of 6, it was a fun and quick card to create).